Microorganisms, being the most natural inhabitants of almost all kinds of natural environments since their origin, have devised a lot of escaping mechanisms from the sub-normal and extreme stress conditions. At different levels of their biological responses including morphological, physiological, genomic, proteomic, metabolomic and intracellular, they have made themselves comfortable during the course of evolution to combat such stresses as temperature (high & low), salinity, drought, high degree of habitat contaminations etc. A comprehensive knowledge-base of different stress responses & adaptive mechanisms that have made these organisms to survive over millions of years is therefore, a necessity of this era for acknowledging their efforts to fight stresses that have been conveyed through the generations and provided opportunities to the higher organisms to evolve through such processes for their existence on the Earth. StressMicrobesInfo database is developed to provide comprehensive information on microorganisms considered to be most vulnerable under various stress conditions belonging to different groups e.g. bacteria, cyanobacteria, actinomycetes and fungi. The database contains information on physiological, morphological, biochemical and genetic responses of microbial entities along with their taxonomic position. 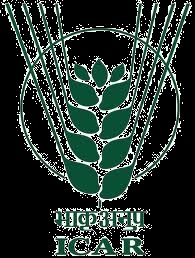 Developed under: Indian Council of Agricultural Research (ICAR), India bound National Agricultural Innovation Project (NAIP) National Agricultural Bioinformatics Grid (NABG). Developed at: National Bureau of Agriculturally Important Microorganisms (NBAIM), Kushmaur, Maunath Bhanjan, India.